A HEDGE ROSE TEAPOT DESIGNED FOR BOOTS. Large vintage Wedgwood China Vine Croft pattern teapot. 2 pint capacity. Denby Stoneware Regatta design 2 pint capacity teapot. NEW Ben De Lisi CHATTER Teapot (Approx 1.5 Pint Capacity). Large vintage Wedgwood China Angela patt. plain edge teapot. 1.5 pint capacity. New listing Vintage 2 Pint Teapot and 3 Tea Cups. 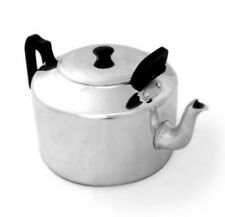 Adams SHARON Teapot. Capacity 2 pint. This page was last updated: 26-Apr 05:10. Number of bids and bid amounts may be slightly out of date. See each listing for international postage options and costs.